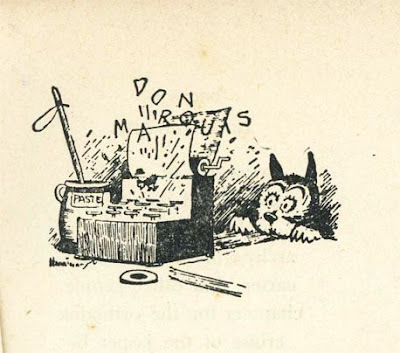 Yes, there is social commentary in current newspaper cartoons, but nothing like Archy and Mehitabel...distinct characters. Archy and Mehitabel (styled as archy and mehitabel) is the title of a series of newspaper columns written by Don Marquis beginning in 1916. Written as fictional social commentary and intended as a space-filler to allow Marquis to meet the challenge of writing a daily newspaper column six days a week, archy and mehitabel is Marquis' most famous work. Collections of these stories are still sold in print today. The published editions of these stories were originally illustrated by George Herriman, the creator and illustrator of Krazy Kat. In 1916, Marquis introduced Archy, a fictional cockroach, into his daily newspaper column at The New York Evening Sun. Archy (whose name was always written in lower case in the book titles, but was upper case when Marquis would write about him in narrative form) was a cockroach who had been a free verse poet in a previous life, and took to writing stories and poems on an old typewriter at the newspaper office when everyone in the building had left. 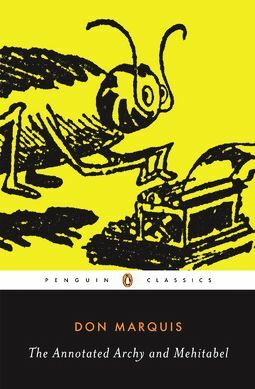 Archy would climb up onto the typewriter and hurl himself at the keys, laboriously typing out stories of the daily challenges and travails of a cockroach. 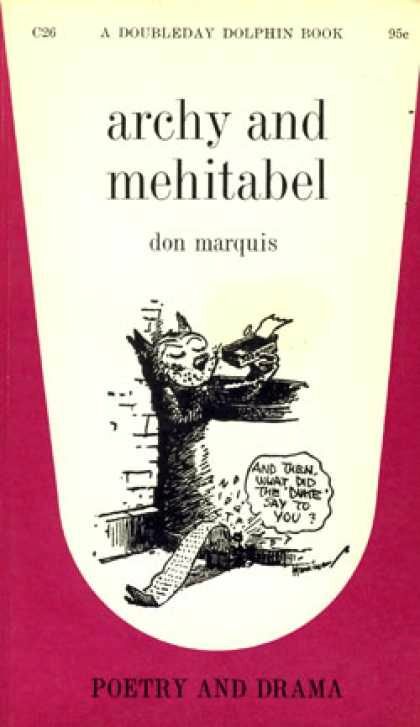 Archy's best friend was Mehitabel, an alley cat. The two of them shared a series of day-to-day adventures that made satiric commentary on daily life in the city during the 1910s and 1920s. There was at least one point in which Archy happened to jump onto the shift lock key—a chapter titled Capitals at Last (styled as CAPITALS AT LAST). Pete the Pup is another character. Pete is a Boston Bull Terrier with a passion for life and devotion to his "master". Like Marquis' other animal characters, Pete types his poetry at night on the author’s typewriter (seldom capitalizing or using punctuation). Unlike many of the other characters' contributions, Pete writes about his uncomplicated life without strong political or social references.